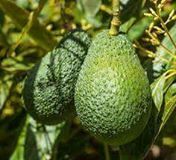 This year hass avocado farmers have shared Sh20 million as their annual bonus following direct contact with a processor. Through negotiations by the Muranga county government and multi-national Kakuzi Ltd, 3,000 farmers drawn from 60 co-operative societies delivered their quality fruits for processing. In the past three years, avocado farmers have been benefiting with annual bonus from the processors depending on production, quality and size of the fruits. In 2014, the farmers, after they complained of exploitation by middlemen, made Governor Mwangi wa Iria to scout for a market before settling on Kakuzi and other players. On Friday, 8th December Governor Wa-Iria witnessed the Kakuzi assistant general manager Paul Mbugua declaring the annual bonus to thousands of farmers drawn from four counties in the region. Quality fruits in the negotiated contract, the company buys a four-kilo carton of quality fruits at Sh420. According to Mr. Mbugua, this year, production of avocado remained low due to prolonged drought that led to better payment in the international market. Payment is made to farmers a week after delivery at the factory in Makuyu. Farmers should employ strategies to increase production to supply the growing market locally and internationally. Avocado fruit business is growing rapidly in Kenya with small-scale farmers reaping profits from this investment. It is viable with benefit-cost ratio>1 and affordable initial capital requirements. Demand projections for the consumption of Kenyan grown Hass avocado fruits locally and internationally is increasing due to its inherent characteristics and adherence to Organic production. This agri-enterprise is ideal for Kenyan farmers and buyers finds them at their growing regions. The cost of production is low as it requires less labor, it is a perennial crop, resistant to diseases and pest which gives Kenyan farmers comparative advantage and well placed for organically grown Hass avocado. The governor lauded the achievement following partnership between his administration and Kakuzi that has benefited the small-scale farmers who had been exploited by middlemen. Before 2013, our farmers were greatly exploited by brokers who bought an avocado at one shilling but presently they are reaping better payment. Wa-Iria said that his administration will not entertain brokers who had been a threat. As an agricultural organization, we work to enhance diverse seed access to our farming communities. For more information Contact our offices.